The Tianjin Binhai Library consists of five floors, and books can be found on almost each corner of the library’s spacious design. A beautiful waste of space. 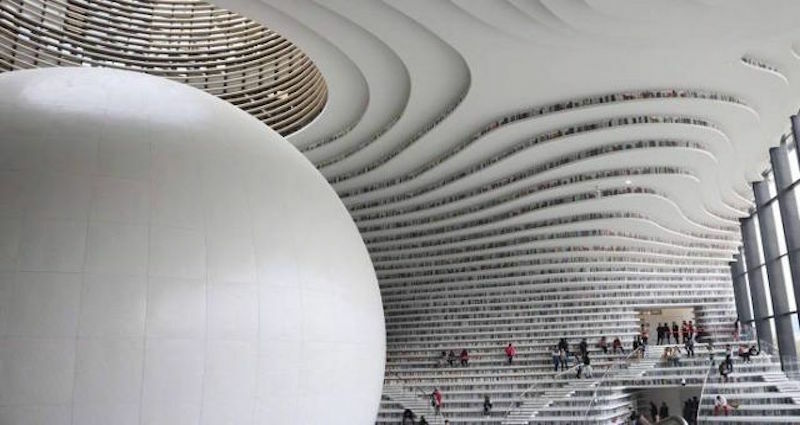 The most futuristic library is Google. Matheus J. Ruzyk, lets go there someday. Des idées de decoration Karine!